Watch The Epic Test Ride Of The Monstrous Kawasaki Ninja H2 And H2R! Th Kawasaki Ninja H2 and H2R are among the most talked about bikes on the market. They are known for their ridiculous power and immaculate handling. The level of finish and quality on the Kawasaki H2 and H2R is some of the highest and in this video you get to check out a full review and test ride of the bikes. Just watching these motorcycles on the track proves immeediately why these bikes are so highly regarded! To check it out click the video! 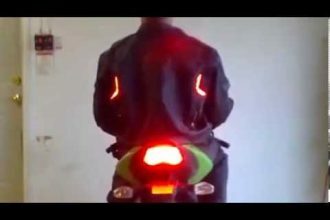 AWESOME Motorcycle Jacket With Turn Signals BUILT IN!!! !